Postcard depicting a scene from the events of the gun-running from Larne. 'BRAVO, ULSTER VOLUNTEERS! 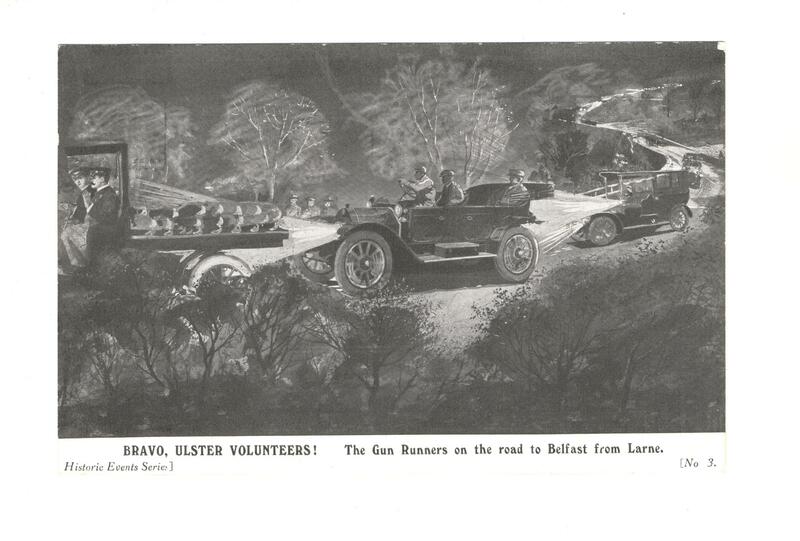 Gun Runners on the road to Belfast from Larne.' No. 3 Historic Events Series.